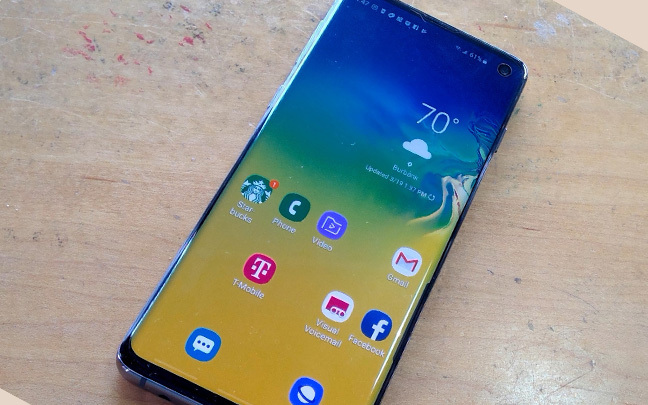 I thought I would get the Galaxy S10+ to review, but instead, I was sent the Galaxy S10. 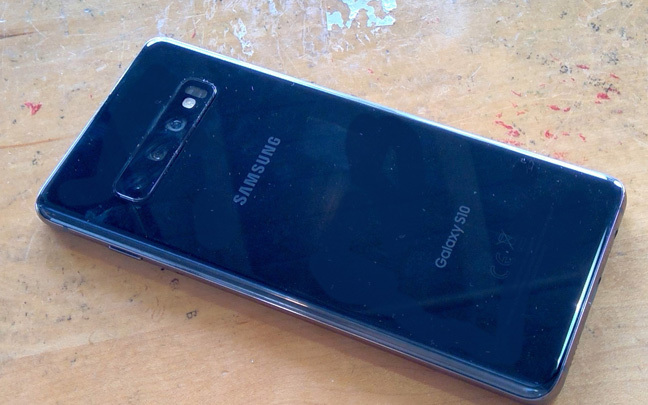 This is a good thing, because it’s slightly smaller than the S10 but just as capable. It feels good to have a phone that doesn’t feel like it’s going to rip out my pockets or feel too heavy. I don’t feel I’m missing much by not having the Galaxy S10+, which isn’t significantly bigger and doesn’t have significantly more power. The S10+ does have a 4,100 mAh battery, while the S10 has a 3,500 mAh one. But the battery life is so good on the S10 that I don’t feel shorthanded. As a power user, it can get me through the whole day (but definitely needs recharging at night). The battery life is noticeably better than it is on the iPhone XS Max, which has been praised for its battery juice. The S10 is fantastic for watching videos. There’s also a lot more to like about the Galaxy S10, even if I’m not in love with the Android operating system. I think the thing that hits me the most is the screen. 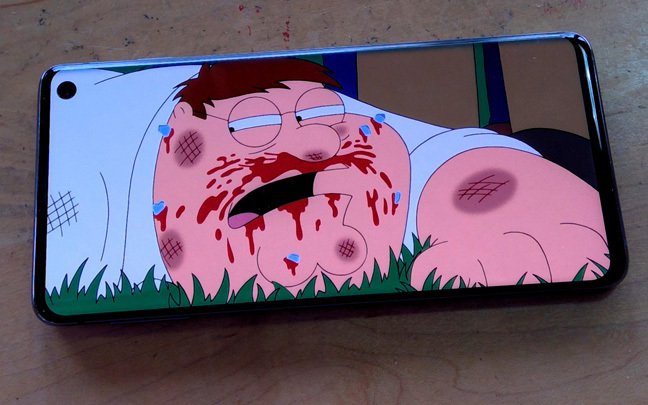 Yeah, the iPhone has an OLED screen as well, but there’s something more lifelike about the colors and images on the S10. The screen resolution is certainly higher, though the naked eye can barely notice it. Perhaps because the bezels are even thinner than they are on the iPhone XS Max, the screen stands out a little more. Of course, the extra thin bezels aren’t always good. I have accidentally touched the screen on more than one occasion (try 15 or 20). Using a crystal clear body case has helped me keep my hands on something else besides the screen, so it hasn’t been that much of a disability. 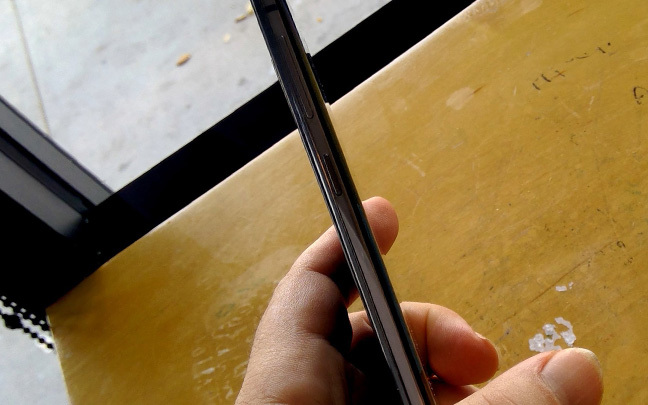 The Galaxy S10 is incredibly thin. Then, there’s the much looked-forward-to under-the-screen fingerprint reader. It works but really takes a lot of getting used to. Unfortunately, it fails to sign in once in a while. Perhaps this is why Apple is holding off on their scanner — they want to perfect it before it’s brought to market. Like the iPhone, the S10 has a face scanner as well — but it doesn’t work as well. This isn’t to say that you’ll be struggling all day to log into your phone. In fact, it’s generally not a problem. Complaining about the login options is nitpicking right now, because I love everything else about this phone so much. I love the feel, the screen, the integration of software, and the sound. Speaking of sound, Samsung has has outdone Apple in this category. When using the Dolby Atmos software, you can make the sound seem like it is coming from all around you. In fact, I preferred playing Spotify through the S10 speakers rather than my car stereo speakers, which I admit aren’t so great. I could feel the bass and treble in equal doses. You really have to listen to the S10 stereo speakers to understand how good they are. Then, there is the triple-lens camera. Of course, it’s great to have three lenses, but it doesn’t necessarily make the pictures better than the iPhone XS Max’s two lenses, except in low-lit situations. But the videos come more alive than the do in the iPhone due to the fantastic stereo mics. Of course, Apple has finally included stereo mics on their upper-end devices, but there’s not much stereo separation. Samsung’s videos sound completely lifelike. Then there’s the phone quality. I found that, at least from my end, I could hear speakers a little more clearly on the S10 than any device I have tested over the past year or so. To make things even better, I never hear anybody ask me to repeat myself when using the speakerphone feature. Unless you are absolutely stuck on Apple’s ecosystem, you may want to give the Galaxy S10 a try. While Samsung’s software isn’t as good as Apple’s, the hardware is clearly ahead. It’s going to be really hard to give the Galaxy S10 back. This entry was posted in Review and tagged Samsung Galaxy S10. Bookmark the permalink.